An electrofusion end cap is used to cap off the end of a HDPE pipe. With a size range from 20 mm to 315 mm, electrofusion end cap fittings come in SDR 11, SDR 13.6 & SDR 17. Electrofusion end cap fittings are made from PE100 material with a precisely moulded energising coil of wire, ensuring uniform melting for a strong electrofusion joint and the minimisation of welding and cooling times. SDR 11, SDR 13.6 and SDR17 electrofusion end caps are rated to PN16 water and 1000 kPa gas. End cap electrofusion fittings are suitable for use for HDPE pipe, and welded with an electrofusion pressure welder. 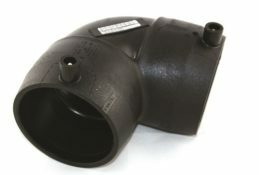 Electrofusion end cap PE fittings may also be known as an electrofusion end caps or EF pipe end caps. 20 mm Electrofusion End Cap (2274.0020). 25 mm Electrofusion End Cap (2274.0025). 32 mm Electrofusion End Cap (2274.0032). 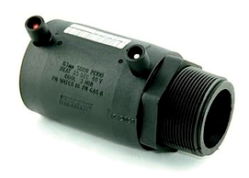 40 mm Electrofusion End Cap (2274.0040). 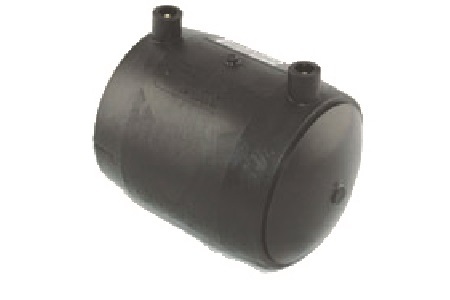 50 mm Electrofusion End Cap (2274.0050). 63 mm Electrofusion End Cap (2274.0063). 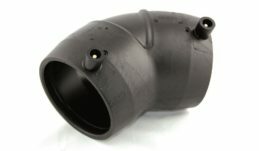 75 mm Electrofusion End Cap (2274.0075). 90 mm Electrofusion End Cap (2274.0090). 110 mm Electrofusion End Cap (2274.0110). 125 mm Electrofusion End Cap (2274.0125). 140 mm Electrofusion End Cap (2274.0140). 160 mm Electrofusion End Cap (2274.0160). 180 mm Electrofusion End Cap (2274.0180). 200 mm Electrofusion End Cap (2274.0200). 225 mm Electrofusion End Cap (2274.0225). 250 mm Electrofusion End Cap (2274.0250). 280 mm Electrofusion End Cap (2274.0280). 315 mm Electrofusion End Cap (2274.0315). Acu-Tech’s supply of premium-quality HDPE Electrofusion Fittings is only paralleled by our brand of customer service. Contact us today for your queries and our sales team will gladly help you with EF fittings. Offering custom fabrication services and working with Europe’s leading manufacturers, we also help businesses who are in need of something more specific.